Have you ever had a situation where your prospect asks you this question? You answer all their questions and then they say, "I have to ask my spouse. I have to go back and ask them their opinion." If you've had this situation, stick around and watch or read below! One thing that stops people from growing is objections. Whether you're building off line or using social media, you will run into objections no matter what. 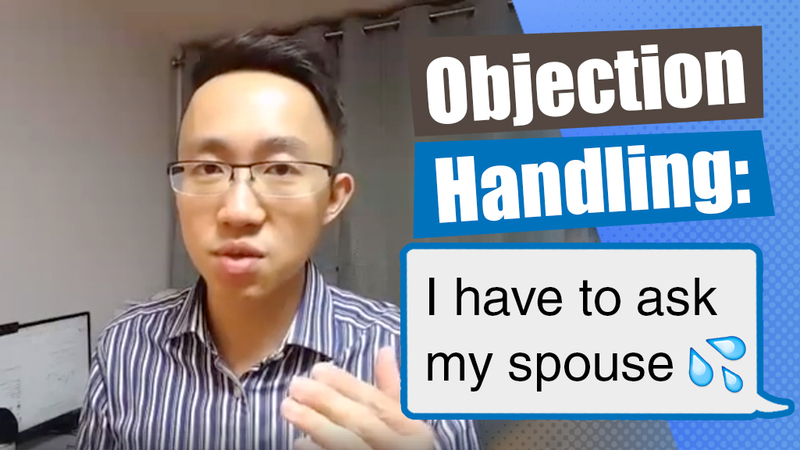 In this episode of Benjamin Pang LIVE, I'm going to share with you how to overcome the objection of your prospect needing to ask a spouse. After you show them the plan and the product, they say they have to ask their spouse? I'm not sure how you answer it now, but I want you to think about it. Have you come across this situation before? Remind yourself, how did you handle it? Was it handled properly? Was there followup? Did you let it go and let them actually go back and ask the spouse? I guarantee that the ratio of them coming back again is very low. I'm going to teach you two steps of how to handle this objection. I guarantee it will increase the ratio of them coming out again and actually proceed in the recruiting process! Step One: Is This A Real Excuse? You have to think about whether that is an excuse or not. "If your spouse liked the business and decided to go forward, would you move forward as well?" Basically, you take away the objection. You want to see what's the real objection behind it. Take away the immediate objection "I have to ask my spouse" by asking them if they would move forward in the business and join your team if their spouse liked the business. Then you're going to listen to their response. It's very important to ask that question first, to find out if that is an excuse or not. I know that if your prospect is married, of course, they want to talk to their spouse, but sometimes people use that as an excuse. Step Two: Invite Their Spouse! If their answer is "If my spouse loved the business, of course I'm going to go forward." Then you could let them go and you could say "Go home, ask your spouse, talk to them! I'm going to give you all the materials and you can get back to me." I'm here to teach you the right way to approach this and to guarantee that you have a followup! It's by inviting their spouse to actually come out and take a look. You should make it convenient for them. 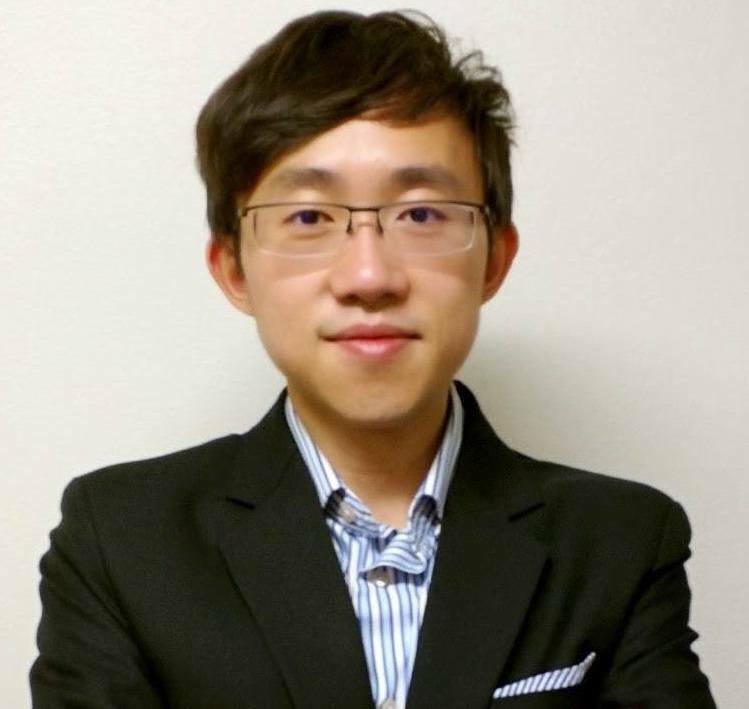 You can say "Why don't we meet up with your wife, your husband, on Friday in the afternoon and I will show them the opportunity, about the product?". They can get the first hand information and they get to evaluate the business. By actually inviting them to bring the spouse, it will increase your closing ratio. Don't leave it to chance because the prospect has only seen the business plan or the product once or twice. How do you expect them to explain it to their spouse? A lot of times, if their spouse is the one that makes the decision, it's not going to work out. How is that person that came out once and is not the person that makes the decision in the household going to deliver the information to convey the business concept to the other? Here's a Hint - Talk to the Spouse! If you want to guarantee your success and guarantee your followup, you have to invite the spouse to come out and explain the business. Explain how the business works, how the product works with them face to face or even over a webinar. Get the chance to actually talk to the spouse and handle any objection that might come up. You want to be there to handle the objection and by inviting them to sit down with you, you have a guaranteed followup because you're sitting face to face already! Letting them go back to explain to their husband, wife, girlfriend, boyfriend and messing it up, letting them show the plan themselves is not as effective. Their spouse sees a video and if they have questions, who are they going to ask? The person that came out, went home, gave the video to their spouse. EXACTLY! BUT when the video is done and their spouse is asking them questions, lots of questions. Do you think that they can answer it? Probably not. 99% of the time - no way! Because they have only seen the business one or two times. Remember, You Only Need TWO Steps! Keep in mind it's very important to take away the objection first, and see the excuse. Ask them, "If your spouse loves the business, would you go ahead with the business"? You need to invite their spouse to come out and take a look and sit down with them so you can handle the objection. Next time when somebody tells you this objection, you know how to answer it! And how do you measure if you actually handled it properly? It's by having a followup! If you have a followup after this, after the objection, then you're successful. Is this helpful? Now you will never need to worry about how to overcome the objection of asking a spouse!